Home Faith Worried or Angry? Be Grateful! If you are ever worried or angry, and you don’t wish to wallow or even drown in those feelings, be grateful. Find something to be thankful for. Focus on the area in the middle of your forehead, slightly above your brow line, and send gratitude from that place, out into the universe for something. Even if it’s just the lessons learned from a difficult day or relationship, you can find hidden blessings. Look outside of the difficulties, in a different direction, and find something to be quietly thankful for. 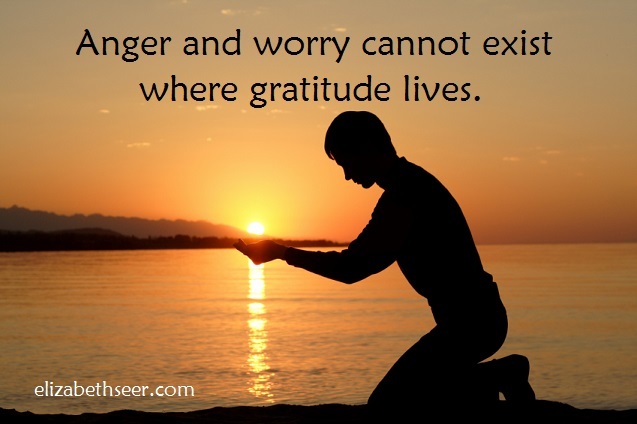 Gratitude brings you to the state of grace that anger and worry snatches you from. attitude of gratitude, be thankful, gift of gratitude, gratitude exercise, gratitude habit, power of gratitude, you are blessed. Bookmark.